Welcome to the new look, I hope you like it! I had been desperate to freshen up my blog look for months, the time just wasn’t right. I didn’t have hours to work on the look, nor did I even know where to begin with switching over to hosting it myself – I just knew it was the next logical step for the blog. Then I left Glasgow, life became unstable and I found I had plenty of time on my hands. That’s when I knew it was time. This has been on the go for a few weeks now, from trawling the internet for themes to emails going back and forth with Chris from RTW Labs who has been helping me with this whole thing. I would never have been able to migrate my content over from one to the other, nor would I have been able to over come the issues without his help. This new look is strategically timed with a big change in my personally life too. This week I started university and am in the middle of moving my whole life to London. I’ve made the header more simple and slick. There is a new menu interface, with a swish mega menu located in the middle of it all. I’ve simplified the categories in hope that my blog will be a lot easier for everyone to find their way around. It is now easy for you to find travel tips, reviews, photography and all things travel. 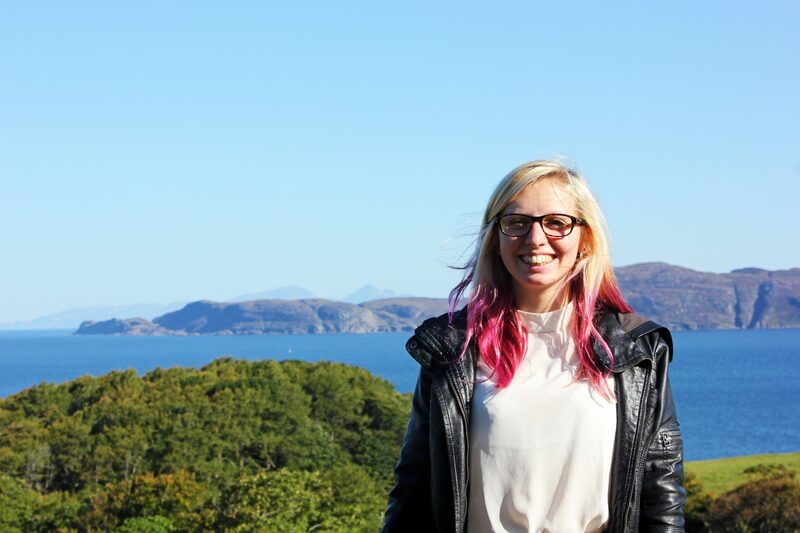 I’ve jazzed up my photos of me – instead of the typical backpacking ones where I’m dressed terribly, I now have some better looking ones which even show of my pink hair and better sense of fashion. The home page is a whole new look, no more circle images and latest blogs splatter over the front page. Instead there is a selection of new posts from each category, and some of my featured posts hovering near the top. It is the exact look I have been longing for over the last few months but was unable to achieve with the limited wordpress.com options. I am so pleased with the end result and am so excited to be sharing it with everyone. I’m still travelling – this weekend I’m off to Amsterdam, in November I’m off to Belgium and December I’m heading to NYC and Iceland. I also have plenty to write up from our mini Scottish holiday. There will be lots of London blogs and possibly even a shot at making some vblogs on my thoughts of returning to being a student or at least some written content on the subject if I’m not brave enough to actually video myself. I am still as interested in travel blogging as ever and just because I have returned to education, to do a BA in Primary Education it does not mean The Little Backpacker will stop. I will still be travelling. So welcome to the new look Little Backpacker Blog, I would love to know what you think. I am also starting a monthly newsletter for my readers and you can sign up below. Love the new look! Very easy to navigate and pics look fab, as always! P.s. welcome to London, hope to see you at a few London Travel Massive’s.